(HALIFAX, N.S.) 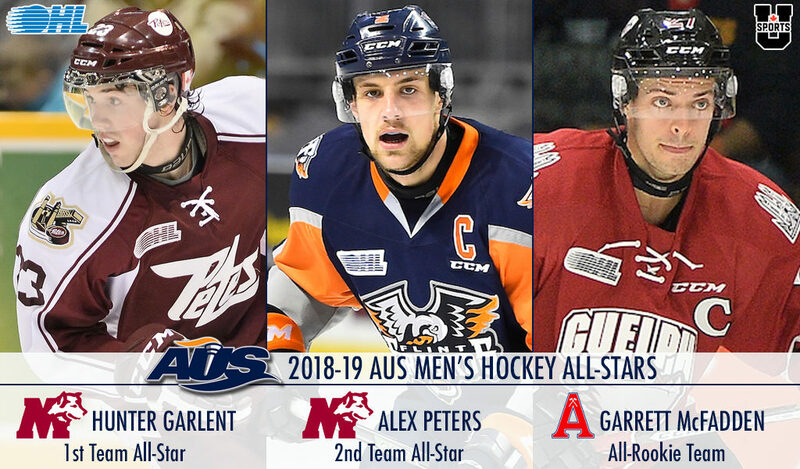 – Atlantic University Sport is pleased to announce the 2018-19 AUS men’s hockey major award winners and all-stars as selected by the conference’s seven head coaches following regular season play. 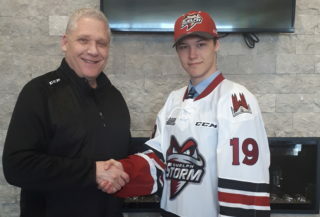 Included in the selections are Peterborough Petes graduate Hunter Garlent of the Saint Mary’s Huskies, Flint Firebirds graduate Alex Peters of the Saint Mary’s Huskies and Guelph Storm graduate Garrett McFadden of the Acadia Axemen. Garlent is an AUS First Team All-Star for the second straight year, registering 45 points (12-33–45) over 30 games with Saint Mary’s. The 24-year-old native of Thorold, Ont. 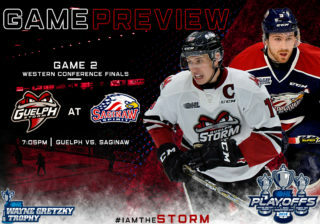 played five OHL seasons between Guelph and Peterborough from 2011-16, recording 269 points (107-162–269) over 292 career regular season games. Peters earns AUS Second All-Star Team recognition with 13 points (5-8–13) over 20 games for the Huskies. 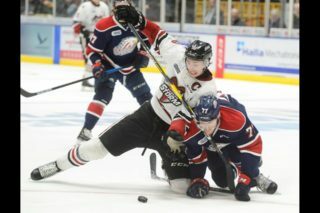 The second-year rearguard is a former captain of the Flint Firebirds, spending five seasons in the OHL from 2012-17 between Plymouth and Flint. The 22-year-old from Blyth, Ont. was a third round pick of the Dallas Stars in 2014. 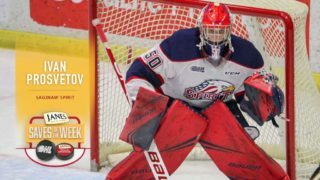 He registered 71 points (14-57–71) over 239 career regular season OHL games. 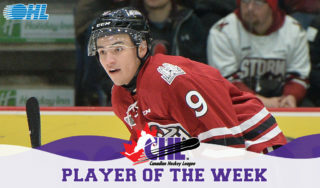 A back-to-back OHL Humanitarian of the Year, McFadden made a successful jump into the AUS ranks, being named to the league’s All-Rookie Team with 21 points (4-17–21) over 30 games with the Acadia Axemen. 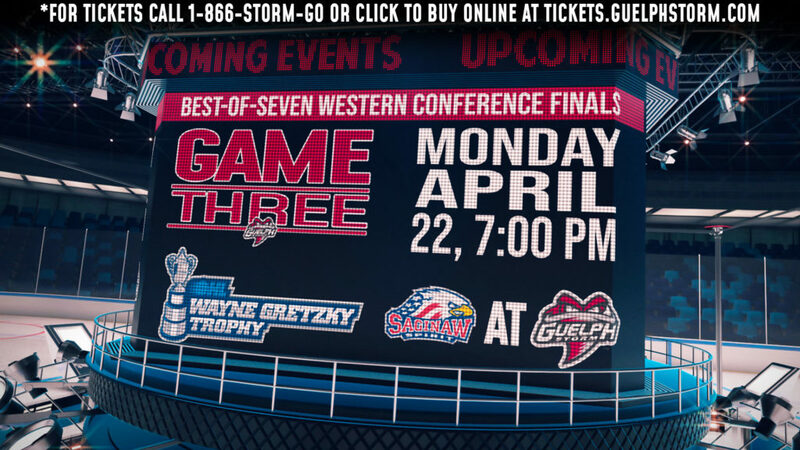 The former OHL champion played five seasons in Guelph from 2013-18, recording 147 points (32-115–147) over 292 regular season games.